Sprint and Palm have just concluded a media only webcast today. The event itself was more of a demo and repetition of what most enthusiasts already knew about the Pre since CES. No new information on features, a release date or pricing was shared. They only bit of new info was that Sprint talked a bit about what service and data plans would be available with the Pre at launch. 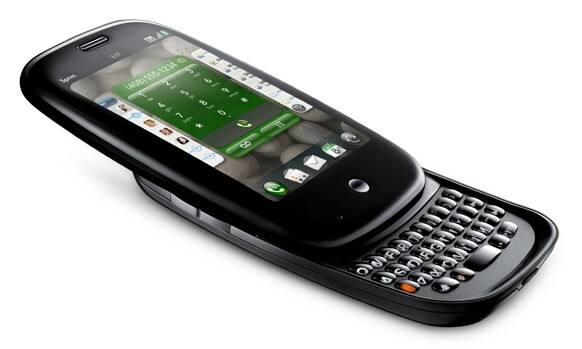 Sprint reps remarked that not all of the usual Sprint service plans will be available for the Palm Pre. Sprint will structure the plans tailored for individuals, families and businesses. Sprint will primarily be pushing their simply everything plan which includes an unlimited voice and data package for $99 a month. All of the alternate plans offered will include an everything data package for unlimited data and messaging. Individual plans will begin at 450 minutes for $69/month, or 900 minutes for $89/m. Families will have a choice of 1500 minutes for $129, 3000 minutes for $169 and unlimited plans at $189. Sprint also said business would be able to do minute pooling, but did not elaborate on specific business plans during the webcast. Right now, I've got a Treo with 450 minutes and unlimited data, with my parents on dumb-phones with shared minutes on Alltel. How many lines does that Family plan include? Would the secondary phones also be Pres? They forgot to mention the other revelation at the webinar that has most non-Palm-fan blogs and the press now pessimistic about the Pre. That webOS will be capable of only multitasking 4 applications at once comfortably and will run only "casual" web-type games... Why PIC doesn't also mention that shows how everyone in the Palm community is enchanted with the Pre, including until the "4 app multitasking" revelation, myself. Let's see, 4 apps multitasking. That's 1) email, 2) IM, 3) web, 4) music, 5) fail. Hardly leaves room for any real multitasking really. Sorry to ask this...but where did you read about the only 4 app multi-tasking limitation? Multitasking 4 webapps? No multitasking of compiled apps. because there is no "proper" SDK. What I find humorous is how certain individuals chided Apple for their *initial* locked down approach, yet until webOS is released, "road tested", debugged, and stabilized, we won't see these limitations lifted. Palm may be good, but even they can't produce 100% bug-free code. >Let's see, 4 apps multitasking. That's 1) email, 2) IM, 3) web, 4) music, >5) fail. You'll also need the phone app running in the background, otherwise how would you ever get a call? Unless of course this "4 multitasking apps" limit excludes the phone app. >Hardly leaves room for any real multitasking really. Sounds like typical Palm marketing - promise the sky and deliver a beta product. No, the first post is not correct. What the Palm guy said is that 4 to 5 applications is all one can run before it gets "unwieldy". I believe the Pre can "run" (if you want to call moving molasses "run") as many "applications" as the memory can take. However, the actual User Interface Fact that 4 to 5 applications is all one might WANT to run on the Pre (or any other mobile device, for that matter) certainly reinforces decisions made by certain OTHER manufacturers about "multitasking", eh? I think a clarification is in order. Four or five applications running in total is different than four or five cards being on the screen. To take one example: SMS and IM are combined on the Pre, so while you might have one card, it's running two apps. And there are other apps (e.g., the music controls and player) that use the dashboard, rather than cards, most of the time, so you have to keep that in mind, too. I think how many app cards one would want to run at once is going to depend on what the apps are. I can't see a lot of reason to run more than 4 apps at once, but it depends on how things are set up. However, the notion that you're not going to be able to have the Web, email, and IM running at the same time as you're playing music is silly. In fact, if memory serves, they demonstrated these things working together when the phone was demoed at CES. I may be wrong, but it may depend on how many instances of webkit are actually running. If there's only one for all open cards then there's (almost) no limit on the number of applications. On the hand if each card gets it's own instance of webkit, then the memory (and resources usage in general) will fix the limit. And 4-5 might be a good guess. I see what you're saying, but I can't imagine why each card would get its own instance of WebKit. The way the app structure works, I don't think there's a need for it. An app can have more than one card, after all. The only way I could see WebKit needing more than one instance is if it couldn't be adapted to the card model (which I kind of doubt). From what I've gleaned from the comments here, the limitation will come into play if you have more than one card open for Webkit. If there is a 5 card limit, then it doesn't really matter how many instances of Webkit are running. If you have 2 Webkit cards, you have three more slots for open cards (assuming the 5 card limit stands). That means you can have one program using 5 cards, or 5 programs using one card each, or any combination of the two. My point in the earlier post was that # of cards != # of apps you can have running at once, because there's the opportunity for dashboard apps and background apps using the notification area. I'm confused why there is any confusion here - the Palm guy demoing the Pre at that "webinar" was unambiguous with what he said - 4 to 5 applications (and he was discussing those in the context of cards) is about it before the set becomes "unwieldy" even though you can run as many "applications" (*) as will fit in memory. He noted that "application" was really "web page" with this device. I fail to see how this is important at all. Why do you need to run more than 4 or 5 apps anyway. Does the iphone or blackberry multitask? These devices seem to do fine without it. Can you talk on the phone and have music playing and be using the keyboard to email and be sending data to a blog? I doubt that would be much fun even if you could do it. We need to define exactly what is an app or a separate instance. For example, does the Pre's WebOS telephony stack count as a background process or a running app? If you put it in "airplane" mode can you have more stuff running? What if you have all radios on simultaneously? I honestly think the whole thing is being overblown. I'd rather have rock-solid stability & blinding speed (like POS users had years ago) for running 1-3 apps at a time than have a veritable stack of cards onscreen and flicking through all of them. I think that the combination of the brute strength of the TI processor/chipset/256mb RAM in the Pre will be more than sufficient enough for any general task and certainly better than the bloated, sluggish FrankenGarnet & WinMob pigs out there nowadays. If anything, WebOS' lack of optimization around the hardware may handicap the Pre's performance more than anything else. The user interface becomes "unwieldy" when more than 5 cards are manipulatable (accroding to the Palm guy demoing the Pre - YMMV). There undoubtedly are OTHER type of processes (like the database handler, etc) that "don't count" w.r.t. the "unwieldy" comment. What the Palm guy said is that 4 to 5 applications is all one can run before it gets "unwieldy". Oh I see. So it's similar to Windows OS in that respect. Most everyone should feel right at home. I honestly think the whole thing is being overblown. I'd rather have rock-solid stability & blinding speed (like POS users had years ago) for running 1-3 apps at a time than have a veritable stack of cards onscreen and flicking through all of them. From my playing around with TEAL OS, I concluded that I was likely going to be just as efficient using a Garnet launcher as the new webOS launch/flick/slide/whatever system. YMMV, but I don't see how this is a big deal. Man, the Pre *has* to be better than XP SP3++ on a 1.8GHz Celeron!! You don't know Hell until you have my desktop PC! Die Microsoft Die! I like that Sprint has different levels of voice plans with unlimited data for the Pre. I dont need unlimited voice with a phone and like the idea of having a choice. I don't understand why anyone would go for those plans. Where's the data in them? If all you want are voice minutes, why bother even getting a Pre? Where's Gekko to step in here with some billing sanity? All plans contain unlimited data & text. The difference is the voice plan. Try to keep up, old man. == of business-critical, proprietary and confidential information for customers ..."
== in an actual commercial environment is unproven..."
Do ya think that's gonna be free? >>>Try to keep up, old man. I'll beat you to death even when I don't have my own teeth anymore, you punk. Let's see if iPhone OS 3.0 requires all new hardware. What would that mean for you, cost-wise? == "Oh, and one more thing..."
part, too, where iPhone 3.0 is presented! Apple has about 15 million iPhone users. I think it would be a very stupid move to introduce software that now alienates those people unless they upgrade a device that may have been purchased only a few months ago. Also, I doubt they would bill the announcement as iPhone OS 3.0 if it requires new hardware. Apple focuses on its strong point. Presenting OS 3.0 without backwards compatibility is a huge weakness. Instead, they would show off the new hardware along with the new software, and a side-note would be no upgrades. Therefore, it is pretty obvious to me that new hardware is coming, but not required for OS 3.0. Some apps will require the newest hardware, just like some apps require an iPhone 3G for GPS or those that can't use the Touch. Also, I'm stupid, so I'll probably buy the next hardware upon its release.